The charity was founded in 2007, as Josie’s Dragonfly Trust, by the parents of of Josie Madeline Grove, shortly after she passed away aged 16. Jacksons Law Firm has been supporting the charity’s annual Bollywood Ball for the last two years. The event is attended by 300 guests who have a fun night whilst raising thousands of pounds for this great cause. This year’s themed event is a masked ball on the 9th November at the Grand Hotel, Gosforth Park, Newcastle upon Tyne. Every year, Jacksons’ charity committee invite all staff at the firm to put forward details of local charities they would like to support throughout the year. The committee then decide on which charities should be shortlisted and the staff have the final vote on which charity is chosen. Jacksons Law firm is one of the North East’s longest established law firms and has been practising in the Tees Valley for over 140 years. 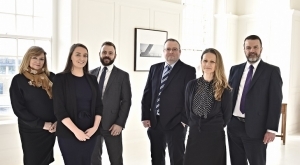 Operating from its head office in Stockton on Tees, and an office in Newcastle upon Tyne, it is well placed to assist clients across the region on a wide range of business and personal legal advice.